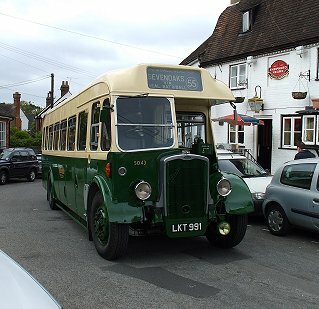 Prepared by Ian Smith, 27th May 2010. 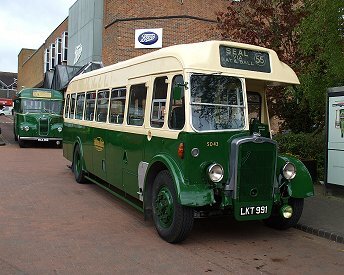 I went to look at SO43, the immaculate Maidstione & District Bristol L6A with rear-entrance ECW bodywork. 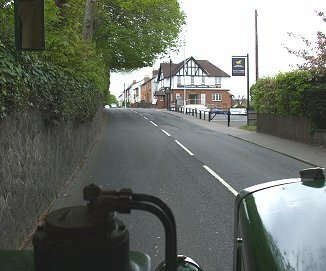 RT3228 squeezed past on a 403 to Westerham, followed by GS15 heading for Chipstead on the 413B. 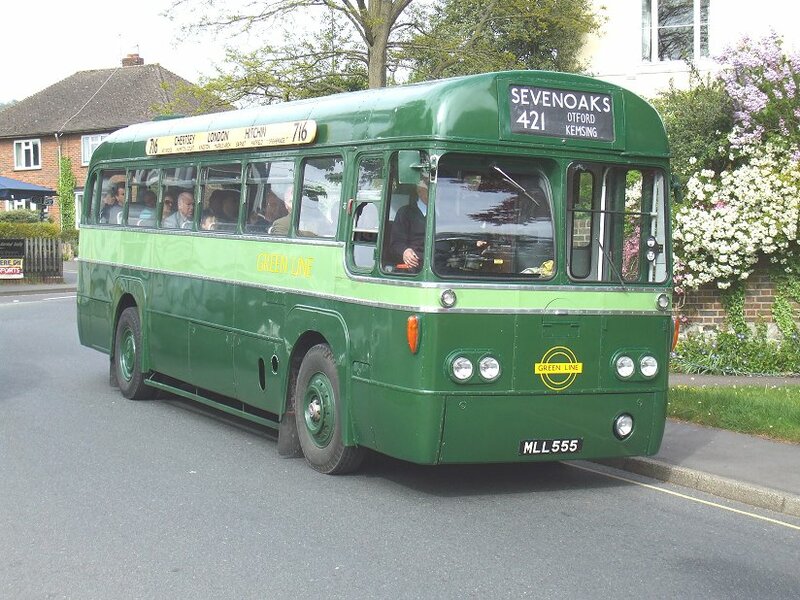 Then GS62 arrived with another shuttle run from Dunton Green as a 704. 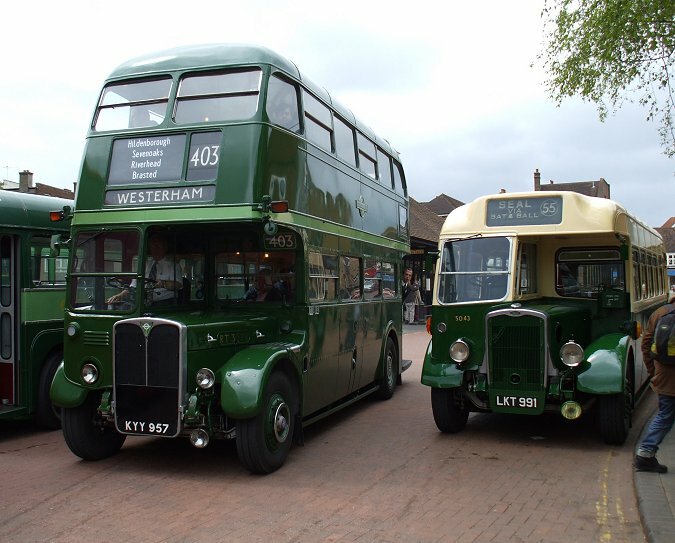 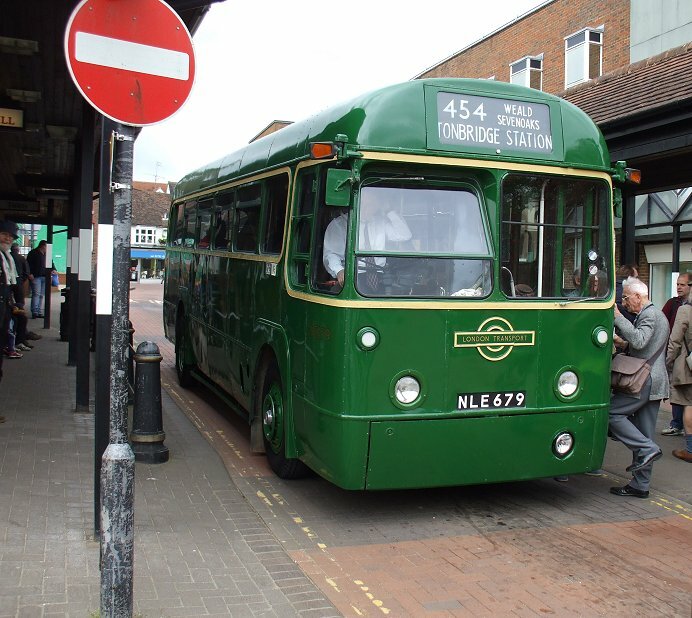 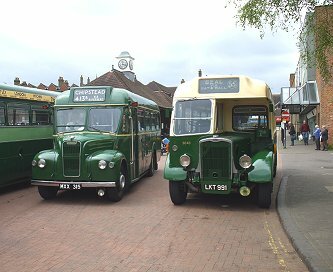 Two RFs came into the bus station: Country bus RF679 heading for Tonbridge via Weald, and modernised Green Line RF168 on the local 413 route to Ide Hill. I located Peter Aves, organiser of the day, and he kindly introduced me to the crew of SO43 as CBR's resident photographer. 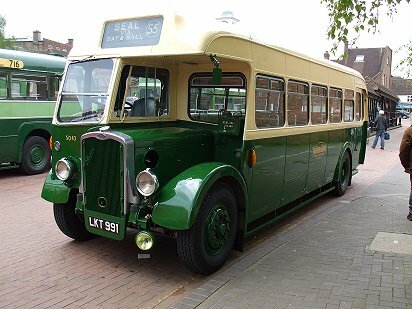 I was invited aboard as part of the crew for a run to Seal and back. 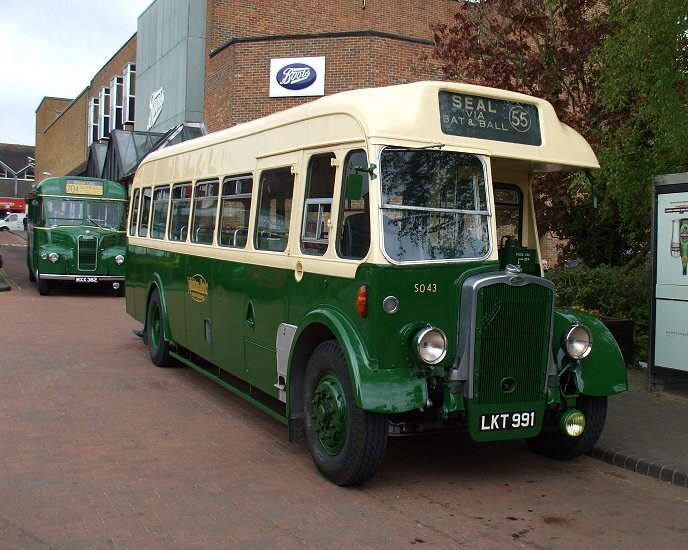 I settled behind the bonnet - a luxury only available on rear-entrance buses of course, for the ride round the block to reach the stands in the bus station. 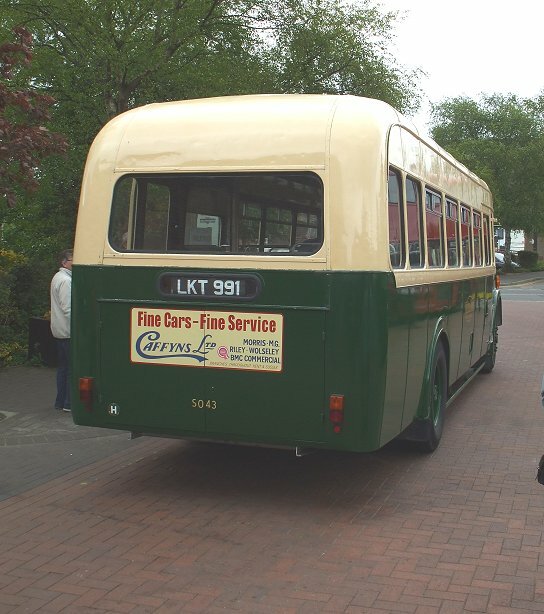 The AEC engine was fired up, and we purred round to load up. 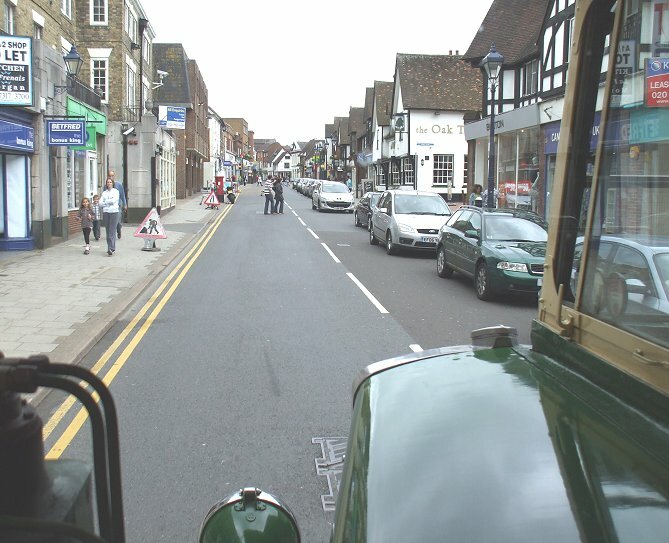 Then it was back out onto the High Street and north towards the War Memorial. 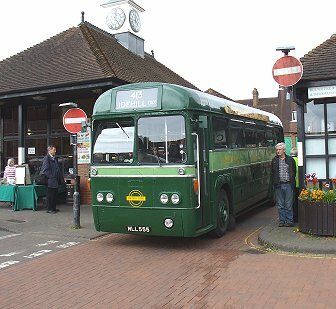 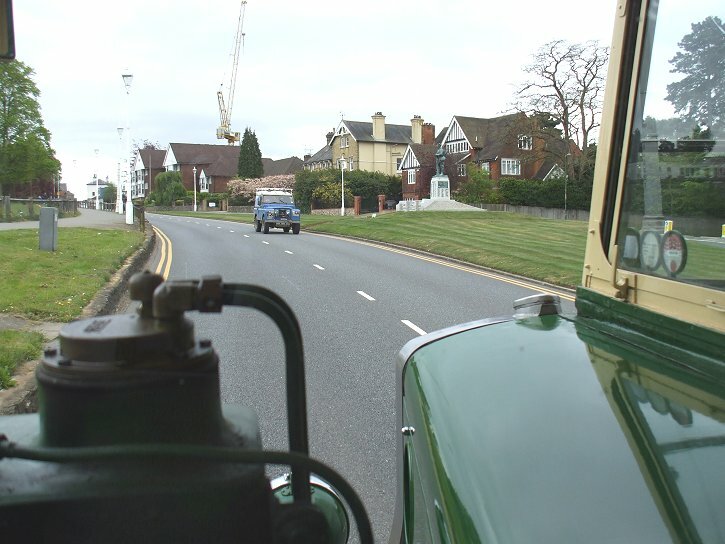 We met RF600 rolling into town, back from a trip to Heverham on the 421. 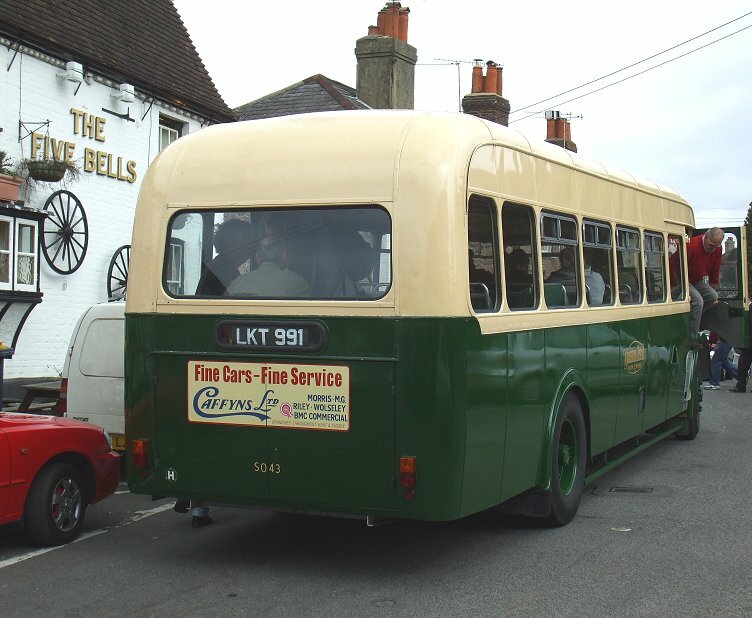 We turned right at Bat & Ball and grumbled along the A25 the short distance to Seal, where we pulled aside, off the main road to reach the Five Bells. There we stopped to take photos and change blinds, while cars endeavoured to squeeze past the bus and parked cars on the narrow one-way street. 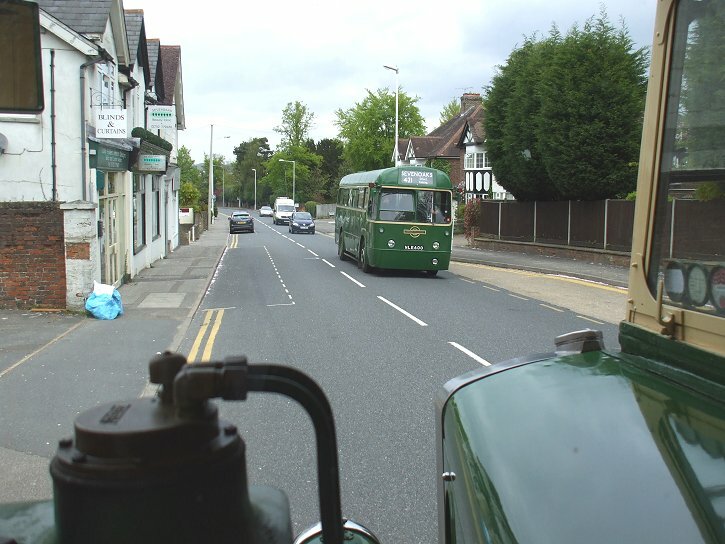 We rejoined the bus, and negotiated the sharp turns and steep hill back onto the A25 for the return journey. We headed for Bat & Ball, and climbed up the long hill to pass what looks like a pub but is actually a veterinary surgery. We swooped down to Bat & Ball, and turned left to climb the long hill through St.Johns up to the Seven Oaks and the War Memorial, before running along into town to reach the bus station. Everywhere the bus attracted attention, pleased smiles of remembrance, and waves (and mobile phone pictures) from the public. 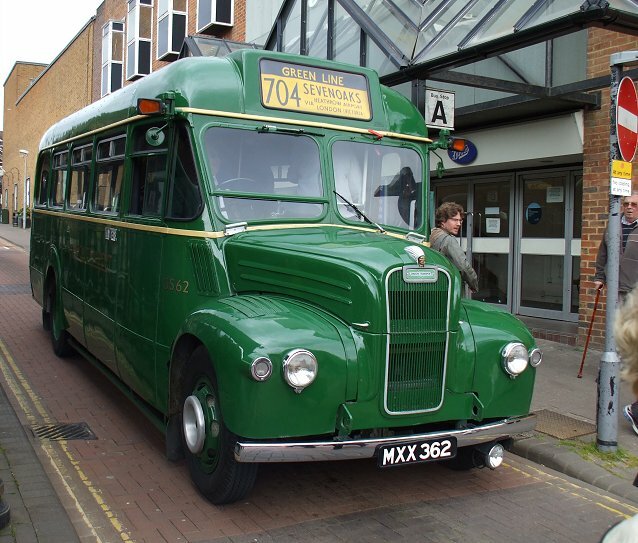 Back at the bus station I was just in time to claim a seat on another M&D bus..